With some CPGS technologies reaching maturity and an acquisition decision approaching, the time is right for a national debate about the benefits and risks of CPGS. The development of non-nuclear weapons that can strike distant targets in a short period of time has been a U.S. goal for more than a decade. 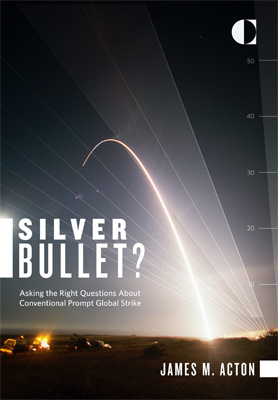 Advocates argue that such Conventional Prompt Global Strike (CPGS) weapons could be used to counter antisatellite weapons or sophisticated defensive capabilities; deny a new proliferator the ability to employ its nuclear arsenal; and kill high-value terrorists. Critics worry that CPGS weapons could create serious strategic risks, most notably of escalation—including to the nuclear level—in a conflict. The U.S. Department of Defense has explored a number of CPGS technologies but has yet to decide on a preferred option, let alone acquire or deploy it. While the U.S. Congress has disapproved of particular plans, it has generally agreed with the importance of acquiring the capability. With some CPGS technologies reaching maturity and an acquisition decision approaching, the time is right for a national debate about the benefits and risks of CPGS. The U.S. Department of Defense has not yet decided for which missions CPGS might be acquired. Potential missions for CPGS have varying weapon requirements according to the need for promptness and tactical surprise; the required range of the weapon; and the target’s characteristics and defenses. Each candidate CPGS weapon has different military strengths and weaknesses; which would be “best” depends upon the scenario. The United States is pursuing three separate pathways to develop CPGS weapons: land- or sea-based rocket-launched hypersonic gliders (boost-glide weapons); sea-based ballistic missiles; and air-launched hypersonic cruise missiles. The military effectiveness of these weapons would depend critically upon potential adversaries’ countermeasures, including early-warning systems; interference with weapons’ GPS navigation systems; air and missile defenses; and the mobility or burial of targets. Non-prompt alternatives to CPGS include stealth technology and forward-deployed weapons. Depending on the scenario, these alternatives could carry a lower risk of failing to fulfill military requirements. Enabling capabilities would be absolutely essential to the effectiveness of CPGS weapons. To date, however, command and control; intelligence, surveillance, and reconnaissance; and battle damage assessment have been neglected. CPGS weapons would likely enhance deterrence and simultaneously increase the risk of escalation in a conflict. The most discussed strategic risk is the possibility that a CPGS weapon could be mistaken for a nuclear weapon (warhead ambiguity). Concern about this risk originated with plans to replace the nuclear warheads on ballistic missiles with conventional weapons. Other escalation risks are, however, more serious. Non-ballistic CPGS weapons, which are highly maneuverable, could possibly lead an observing state to wrongly conclude that an incoming weapon was heading for its territory (destination ambiguity). A state could mistakenly believe that its nuclear forces were under attack when its conventional forces were really the target (target ambiguity). This situation could arise, for instance, if a state’s nuclear and conventional assets were “entangled” because of dual-use command-and-control systems. A state that feared its critical weapon systems—particularly nuclear weapons—were vulnerable to a preemptive CPGS strike could feel pressure to use or threaten to use those weapons first (crisis instability). All potential CPGS weapons have some desirable and some undesirable characteristics from the perspective of mitigating strategic risks. Boost-glide weapons, for instance, would have non-ballistic trajectories, tending to reduce warhead ambiguity. However, because they are maneuverable and untrackable after the boost phase, their destination would be unpredictable, exacerbating all escalatory risks. Russia and China, both developing CPGS-like technologies, have concerns about the U.S. program, and Washington is committed to easing them. Their concerns relate to all U.S. high-precision conventional weapons, not just CPGS. A scenario-based approach to CPGS acquisition would maximize value for money. Before embarking on the acquisition process, the Department of Defense should decide upon the specific missions for which CPGS weapons might be acquired in order to identify clear military requirements. A comparison of the ability of CPGS weapons and non-prompt alternatives to meet mission requirements is needed to determine whether to procure CPGS weapons at all. This comparison has been absent from the debate. It should account for the relative costs and the implications of potential countermeasures. CPGS acquisition decisions should take into account the need for U.S. enabling capabilities. The continued failure to consider this issue could lead the United States to procure CPGS weapons incapable of fulfilling mission requirements. The debate about the strategic ramifications of CPGS should include the full range of risks and benefits. Warhead ambiguity does not pose the biggest escalation risk in a conflict with Russia or China. All risks should be weighed against the potential benefit of enhanced deterrence. The negative characteristics of boost-glide weapons for managing escalation in a conflict should be recognized. These risks are serious and have been overlooked. Whatever CPGS technology the United States chooses, it should pursue cooperative confidence-building measures with Russia and China. Cooperative measures, which could be treaty based or politically binding, would more effectively mitigate the strategic risks posed by all CPGS technologies than unilateral measures. Strategically fantastic and an absolute waste of money. The subject came up in 1998 when the slow cruise missiles missed Osama Bin Laden near Kandahar. So a bunch of people decided this prompt global strike system would be the answer. Guess what: we got Osama bin Laden without it. Moreover, given the experience of the U.S. developing in new systems (especially beginning with B-2 and F-22 in the late 1980s), the U.S. messes up royally with the development of new systems, especially exotic ones like this. There is also the illusion that one strike will solve big problems -- like a strike on a leader (the Martian says, "Take me to your president! '), As a taxpayer and with 54 years of defense experience, I say this is crazy and a total waste of money.. It would be an extraordinarily rare case where the U.S. had no react time, needed to promptly attack, had to reach far inland, and knew every geographic detail about the location of the target. The benefits of the use of long-range ballistic or glide missiles for CPGS do not outweigh the risks. It is false to conclude that CPGS would fill an important gap in the U.S. conventional strike capability and enhance deterrence. Plausible scenarios do not exist in which the U.S. could have actionable intelligence and not be able to strike targets by other means. CPGS does not reduce the number or role of U.S. nuclear weapons. The capability may add “strategic flexibility” but it also adds an unacceptable level of risk. Even if it were not strategically risky, in a time of sequestration, can the U.S. really afford a nice-to-have weapon? --Conventional Prompt Global Strike-- USA complains about weapons escalation and at the same time makes new inventions! Wrong question; while this could be a weapon, its not a weapon system without the necessary means to aim it. Given the shortfalls of intelligence especially for targeting level location against moving or mobile items / persons - its a weapon without a viable target set. Solve the means to aim and then perhaps consider the bullet. ‘Justice delayed is justice denied,’ and in today’s rapid world, even an hour seems a bit slow to render punishment. As the world’s exceptional nation, the US believes that it must do whatever is necessary to help preserve the American way of life. Bad guys of the world will now have to think twice before they affront Sheriff America. Most importantly, this weapon system will not only create jobs within our country’s lean mil-industrial complex, but it will also help to win over additional international hearts and minds. Not only can the US listen to your phone-calls, but if you say something negative, it will now be able to make you suffer. Lord, have mercy!